Paperback with 131 pages; English language. 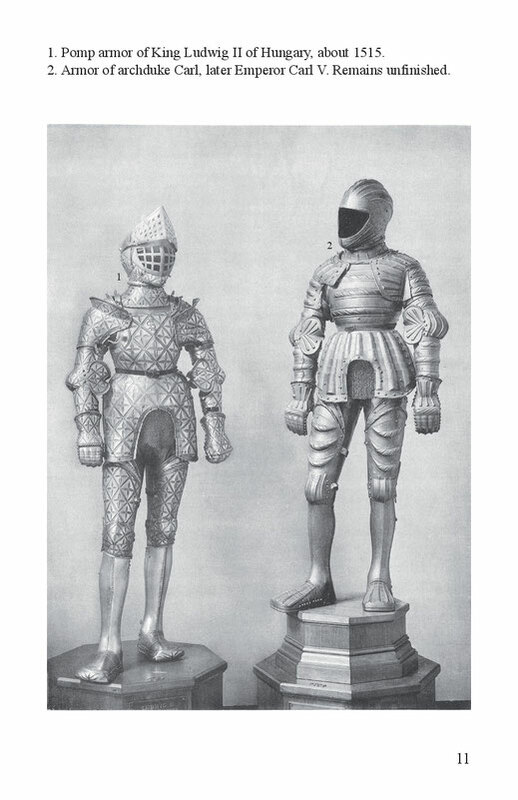 The royal Austrian collection of arms was merged in 1889 with the world-famous collection of archduke Ferdinand of Tyrol from Ambras Castle near Innsbruck. 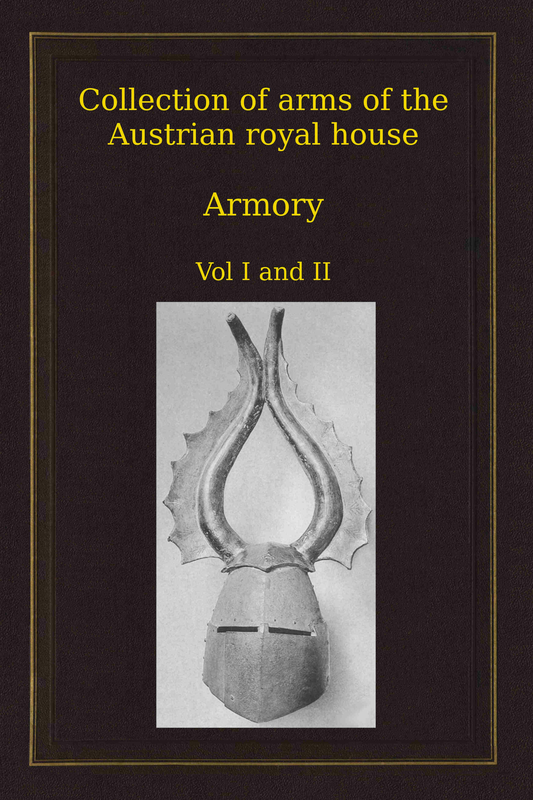 In this book, consisting of two volumes, the most important items of the collection of arms are presented. 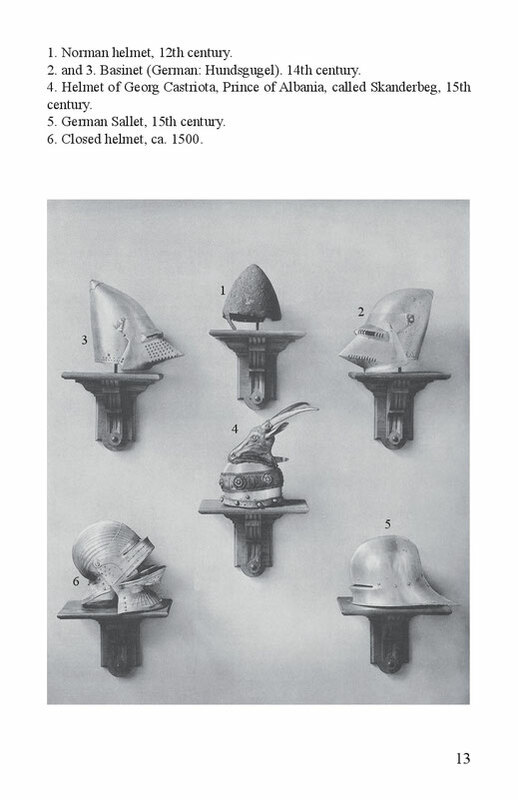 The text was written by Wendolin Boeheim, curator of the armory. 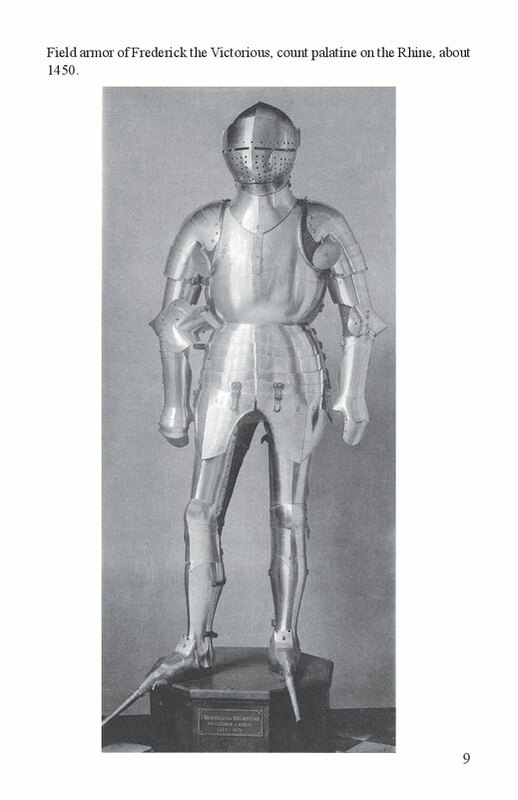 Despite the long period of time from the first edition to the present revision, the description of the historical collection remains important for research and historical science and is still a standard work on European armoury. 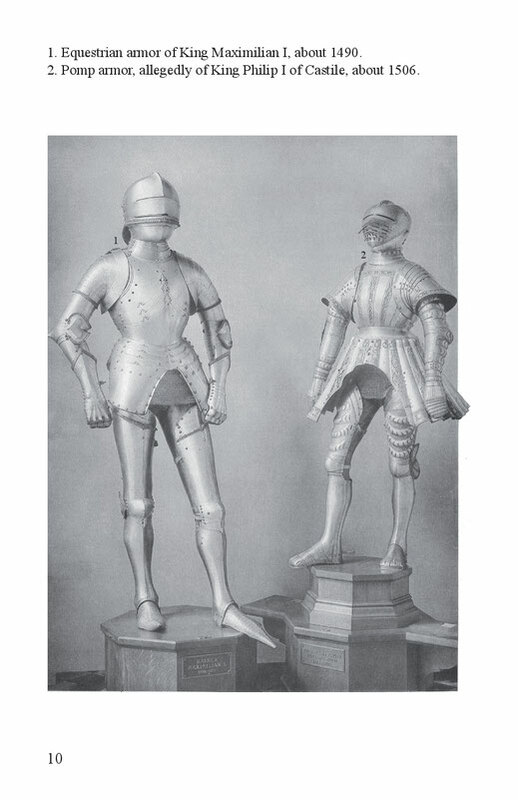 The main focus of the collection is on the most important field, ceremonial and tournament armours of European generals, kings and emperors, including their swords. 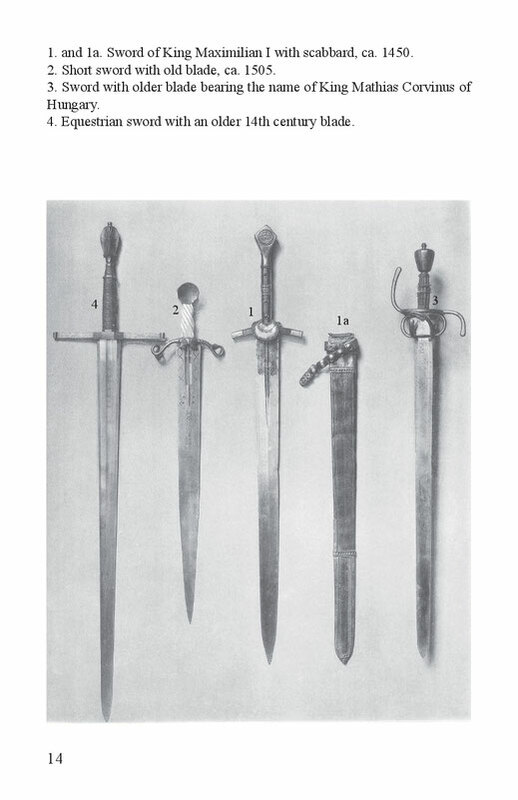 The impressive collection is supplemented by artistically high-quality burgonets, basinets, sallets, sabers, swords, Cinquedeas, handguns, wheel lock rifles, round shields, heavy horse armours and much more. 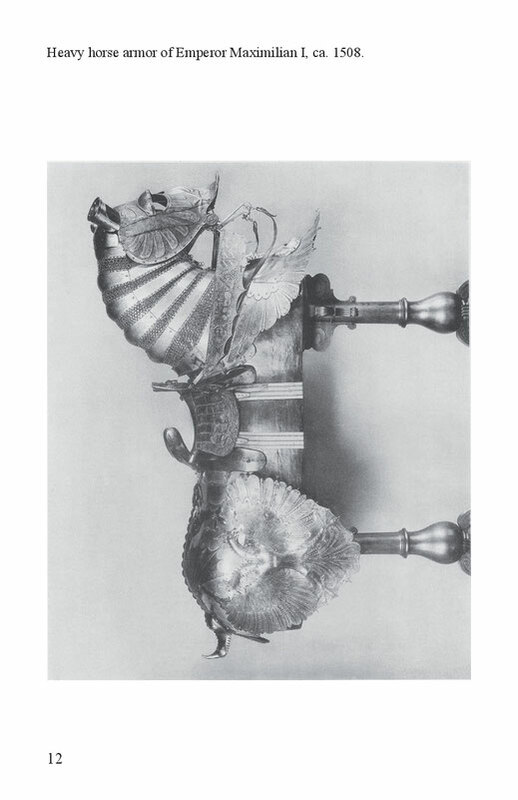 The book comprised 121 illustrations. 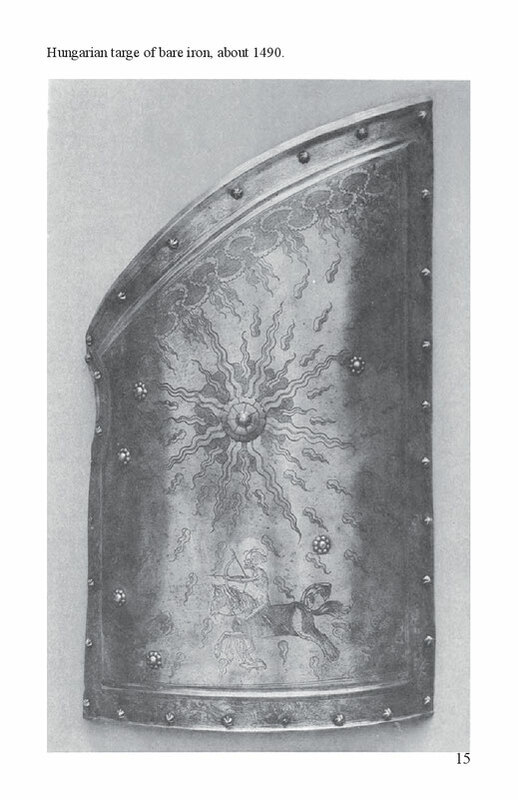 Pomp armor of earl Eitel Friedrich von Zollern, ca. 1503. 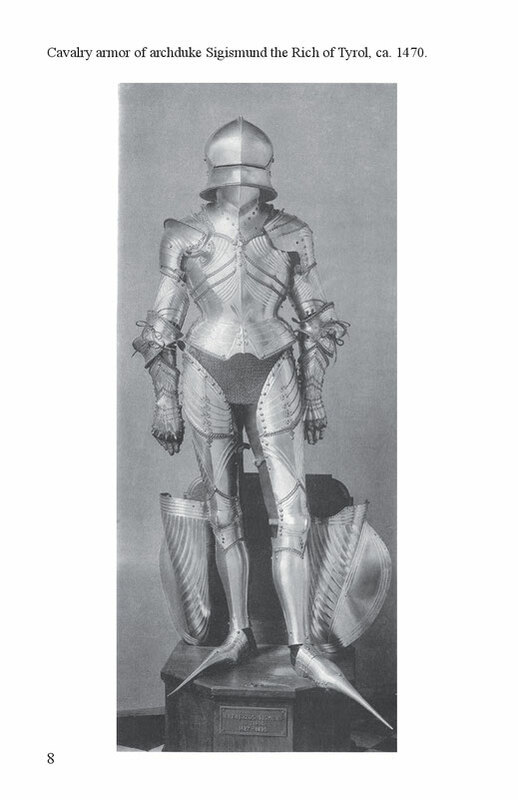 Joust armor of earl Andreas von Sonnenberg, ca. 1508. Pillar of a crossbow, ca. 1550. Rifle with wheel lock, German. Morian of the Venetian patrician family da Mula, ca. 1550. View into the book - Collection of arms.